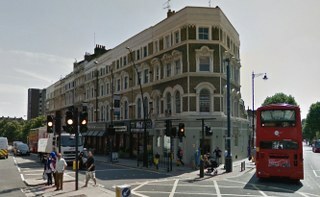 Are you worried about your moving day in Kilburn, NW6? Do you have fragile items that you don’t want to see get broken? Will you struggle to carry your furniture up and down your stairs? Are you unsure about moving using your own vehicle? Moving Service can and will alleviate all of your moving concerns and worries thanks to our professional range of removal services! We’re one of the best removal companies in the area, and with our low prices and friendly movers, we’ll ensure that you move to your new home or office in Kilburn with ease and efficiency. Find out more by giving us a call today on 020 8746 4402! There are so many things that can go wrong on moving day, and if you’re pressed for time or if you’ve never moved house before then this can only add to your stress! Lots of people are seeing the benefits of hiring a Kilburn moving company for their house or office relocation, and you can too if you hire us for your big day! Our services include everything from man and van hire to furniture removals, and our experienced and friendly house movers are all that you need for a worry-free process! Our company even has exceptional prices to offer you! All of the services that we have to offer are competitively prices and affordable, so that you can get the cheap removals help that you need for your moving checklist without having to worry about the expense! With no hidden fees or costs, and with fantastic price available, you simply can’t go wrong when you hire our company! Find out more today, and learn about the savings that you can make by giving us a call now! This is an area that can be found in North London, and is a part of three London boroughs: the London Borough of Brent, the London Borough of Camden and the London Borough of Westminster. A 12th century priory can be found here, demonstrating just how old and historical this area is. Nowadays, this is one of the most multi-cultural and diverse places to live in the entirety of London, and boasts a variety of different restaurants and eateries from all over the globe. There are some fantastic places to visit, including the Grade II listed building, the Gaumont State Cinema. This fabulous art-deco building was first opened in the 1930s, and is now owned by Ruach City Church. The Tricycle Theatre is another wonderful place to see if you have an interest in the arts, as this famous arts centre showcases many plays and foreign films on a regular basis. With so much to see, do and explore,this is a diverse and eclectic place that’s truly wonderful to call home! Move the Right Way With Our Kilburn Moving Company! Our company even has exceptional prices to offer you! 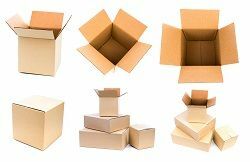 All of the services that we have to offer are competitively prices and affordable, so that you can get the cheap removals help that you need for your moving checklist without having to worry about the expense! With no hidden fees or costs, and with fantastic quotes available, you simply can’t go wrong when you hire our company! Find out more today, and learn about the savings that you can make by giving us a call now! Our company is just a phone call away, and we’ll help you with everything from moving furniture to removal van in Kilburn, NW6 rental. For all of your removal needs, worries and concerns, you don’t need to look any further than Moving Service. If you don’t believe how much of a difference we can make to your move in Kilburn then just ask our happy customers! Find out more about us today by calling us on 020 8746 4402!